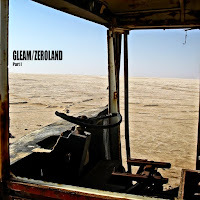 GLEAM Station: Interview by "When the music is over"
Interview by "When the music is over"
We’re a duo and played together for about 7 years, we started from being a cover band then found out nothing’s more satisfying than bringing a new song into being, then another, then another. That’s what we do, just try to sum up feelings in melodic locutions aiming first for something predictable in order to change it right away into “the second idea”; in other words, once we get to the first idea (the one that comes natural when attempting to jot something down), that’s systematically eliminated to leave proper room for the second idea, which unfailingly turns out to be more interesting; and that second invention is what we once called “The Gleam” and that eventually kind of helps to avoid writing something that’s been already heard – or at least that’s the purpose. We never look for a pre-determined genre: first comes the message, then the mood, later the choice between indie, alternative, blues, new wave, weird stuff, space, british and whatever else style of rock/pop that better fits the lyrics. U2, Radiohead, Stevie Ray Vaughan, Coldplay, Led Zeppelin, Mike Oldfield, Pink Floyd, Vangelis, Foo fighters, Air… many more. We’re working on getting our last album “Lady Psyché and her Heart Mechanix” reviewed as much as possible, we’re also looking for ideas for new song videos, while composing a few fresh tracks for a new album yet to be released. Well, we’re about to launch a brand new collaboration with a renowned organization through the video of a campaign of theirs (soon on youtube). A song out of our last album “Frantic touches, lucid dreams” was used as music theme for that video.